25 years ago, on a nice mid-April afternoon, a football match happened. Nothing unusual there as that happens up and down the country every week in the football season. This time it was different. The match in question was one at the Sheffield Wednesday ground, Hillsborough. One that Liverpool were playing Nottingham Forest for a chance to play in the final of the F.A. Cup. 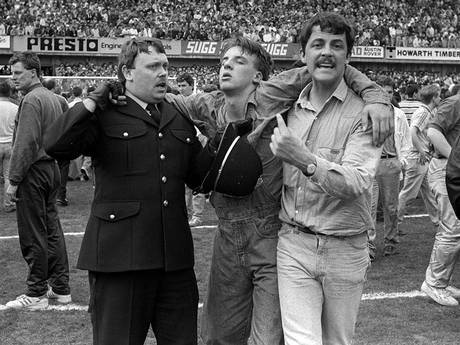 These were the days when fans were put into “pens” for their safety and to prevent them from invading the pitch and fighting with the opposing fans! 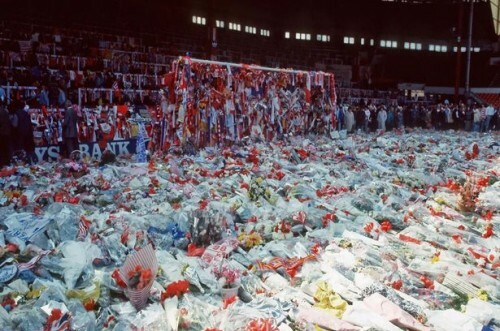 These were put up after a spate of hooliganism in football grounds in the 80s that ended up with deaths four years previously in 1985 at Heysel stadium – another disaster that involved Liverpool fans but for an entirely different reason than this one. There were factors that caused Liverpool fans to be late. Roadworks on the motorway connecting the two cities. Only one “football train” to get the fans to Sheffield. The weather was also a factor, it was a nice day so people wern’t in a rush to get to the ground. I’m not the biggest of football fans, even then, but I was watching the game as there wasn’t any satellite channels and we only had 4 channels to watch. Football it was. Watching Grandstand you knew something was going wrong just after kick-off. It was hard to tell what was going on. Were the fans about to invade the pitch for some reason? Who knew. The real reason was made clear only a few minutes later at 3:06 when the match was postponed. This isn’t what football is about. When you go to a game you don’t expect not to return. That day saw 94 people not live to see the end of the day. Two others died of their injuries later. Within hours of the disaster, the Police were already starting a smear campaign against the Liverpool Fans. Probably to hide the incompetent way the match, and subsequent disaster, were managed. What went wrong, what happened in the aftermath. Two questions that would take far too long to answer here. The 2012 report’s finding will be able to answer you. No piece talking about the disaster can’t be complete without mentioning The Sun newspaper. 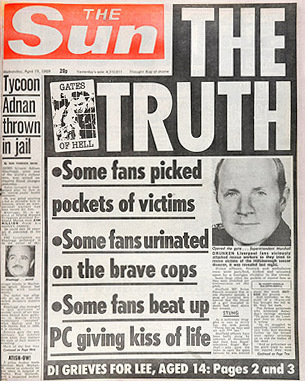 With 2 words, the then editor Kelvin MacKenzie destroyed the newspaper’s reputation in Merseyside that 25 years later it hasn’t recovered. Just after that edition appeared, a boycott of the paper was started. This boycott is still going on today, 25 years later. The headline was a simple two words. THE TRUTH. A slur on the fans who were dying or trying to save the life of a friend, family member or a stranger. The story was easily dismissed if you watched the events happening a few days earlier. A good example of what actually happened can be summed up in this image. The two things that came out of The Taylor Report was the removal of the cages that were erected to help keep order. The seconds was to remove the terraces and make the stadiums all seating. There are two images that, for me, sum up the disaster and it’s aftermath. 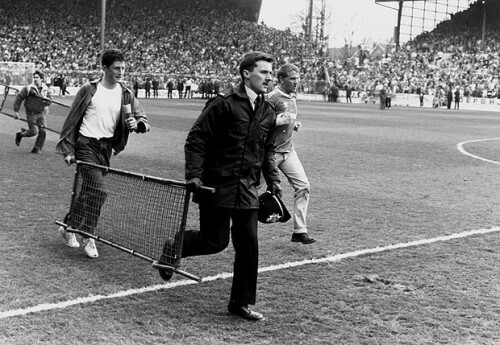 Footage of fans trying to get the injured to ambulances using the hoardings as makeshift stretchers and the sea of tributes at Anfield in the days after the disaster. It wasn’t just a sea of Red as you could see bits of Blue there as well from their rival team, Everton. It was a city in mourning not just a football club. The two great rivals came together as only Liverpool could do to help everyone who was affected by the disaster. I tried to find an image that reflected the fans using hordings to carry the injured but a lot are very distressing even today, so I used one to represent the feel of what happened.